Renowned cultural and arts center features performances, lectures, films and music. Excellent acoustics and sightlines. Capacity: 1,495. 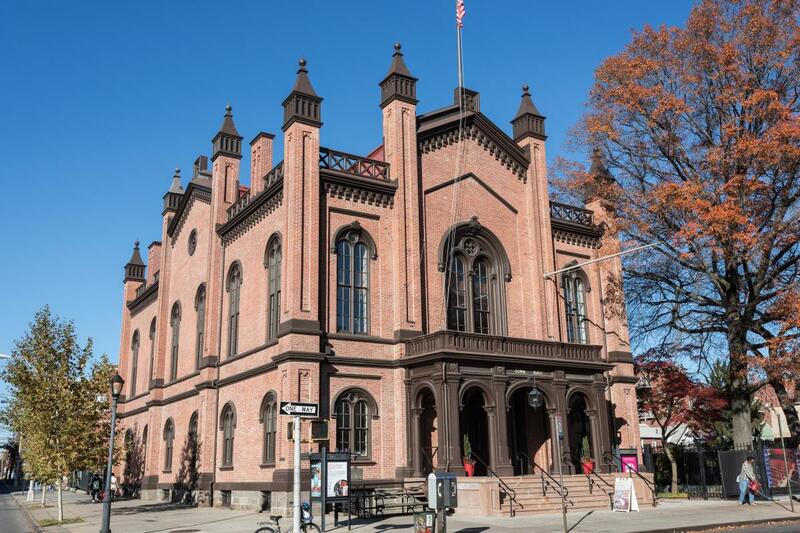 The landmark 150-year-old building, totally renovated with a state-of-the-art theater, gallery and garden, is a perfect location for any event. Function rooms, 3; capacity 314 theater, 200 banquet, 250 cocktails, 150 classroom; total 3,800 sq. ft.